Apogee Electronics Corporation announced today that Symphony Mobile is now shipping worldwide through authorized dealers and distributors. 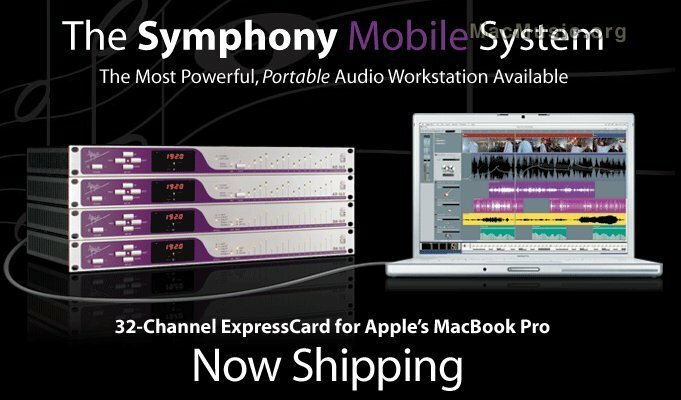 Symphony Mobile is the first professional, state-of-the art native audio workstation designed specifically for Apple's MacBook Pro. Symphony Mobile features all of the performance, quality and value of Apogee's Symphony PCI-Express card, with up to 32 channels of I/O, and less than 1.6 milliseconds of latency at 96K, in a portable form factor.